I recently connected with an adoptive family in California eagerly looking for young duckweed to bring into their backyard and raise as their own. In their request, they stated that they had heard a great deal about duckweed’s talents and were eager to make young duckweed a part of their sustainable lifestyle. 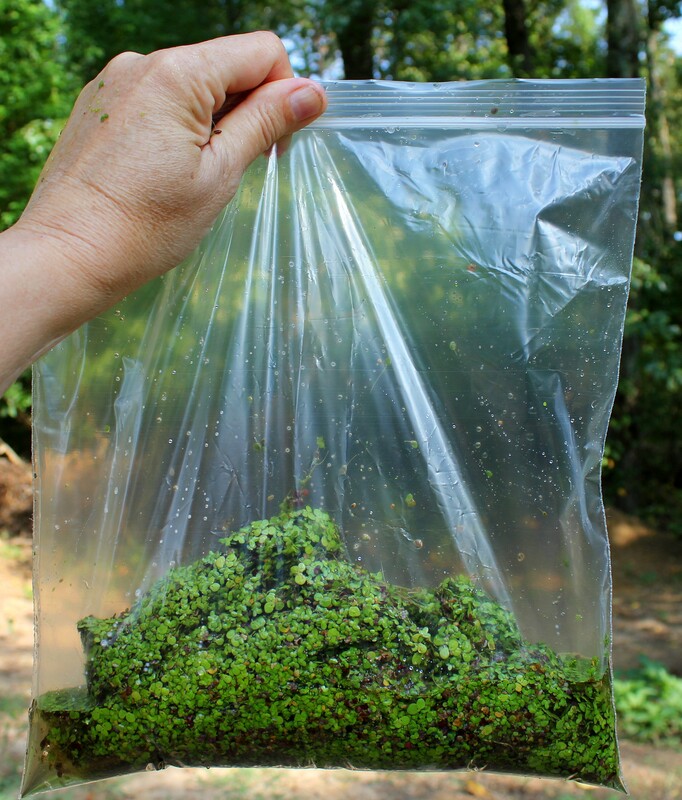 I felt the family would be a good candidate so I sourced the perfect duckweed and prepped it for its journey out West. I always like to give last-minute pearls of wisdom to all my duckweed before I place them in a new home and this time was no exception. I sealed the package and took it the post office. Another successful adoption of one of the most amazing plants on the planet. I smiled all the way home. I loved your advice to your young duckweed. I think we have a duckweed mother-load here. I’m looking forward to learning more on your site. I’m fairly new to the benefits of duckweed. I love your sustainable living outlook as well. To me, it’s the only way to go. Keep up the good work! can you collect duckweed straight from a pond and ship it, or do I have to clean it first???? I need some help … Do i have to grow it indoors in order to sell it?? i would appreciate some advice. Speaking of adopted duckweed, mine is doing just great. It has already multiplied several times and has been eagerly eaten by both the chickens and the ducks. The ducks were suspicious at first, as I stirred a handful into their newly-filled wading pool. They gathered around to dip their beaks and look at the new arrivals, and talked among themselves. Then my phone rang and I had to go in. About 20 minutes later, I went back to check: the ducks were in the pool, and all the duckweed was gone. Now, I’m pretty sure that it didn’t climb out by itself. The second addition was gobbled up much more quickly, with very little discussion about the respective merits and drawbacks of the duckweed. I guess this is why they call it DUCKweed. Adopting out your little duckweeds educates people and improves the world, two urgently needed qualities. p.s. I was in the post office on Monday, and noticed some small boxes about the size of VHS cassettes, and thought how perfect they would be for shipping. $2.95 if they don’t weigh too much. I’ve seen those. Will check em out. Thanks. Glad your batch is growing well. Yours is a success story. Congratulations!